You can choose your bandmates, but you can’t choose your family members. 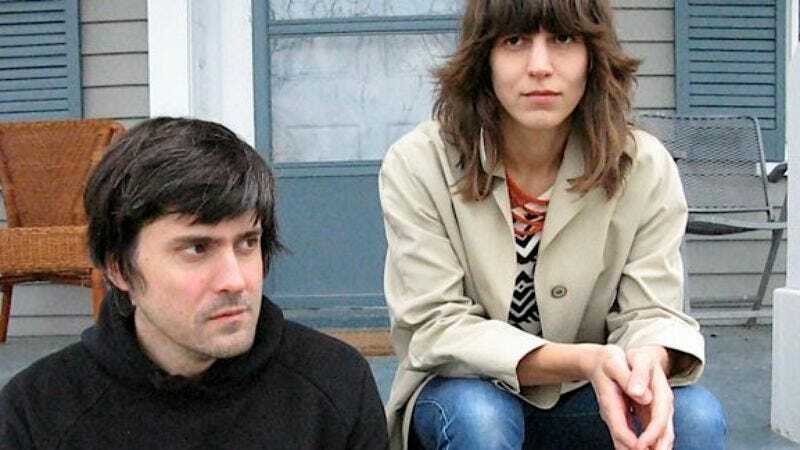 The Fiery Furnaces, the brother-sister act built around Matthew and Eleanor Friedberger’s shared genes and musical interests, taps into a long, long tradition of bands bound by blood ties. Before the band’s two-night stand at Lamberts on Friday, May 20 and Saturday, May 21, Matthew reflected on some of his favorite family acts with The A.V. Club. Matthew Friedberger: For The Kinks, that they’re siblings is important, but not quite so important. A lot of people like Dave’s songs, and obviously the guitar playing is important to a lot of The Kinks’ songs. A lot of The Kinks’ appeal lately, what people think of, is the Ray songs—they don’t think so much about “You Really Got Me” nowadays. Dave has receded in importance. The A.V. Club: Why do you think that was? MF: I think it’s because they were a popular band in the late ’70s. They were a big, radio-FM, stadium-rock band—part of that culture. It was a totally different culture in the early ’70s. If people would have known the records and seen the pictures of The Kinks and The Who from the early ’60s, they would have had a different picture. They were too domesticated, so it seemed. MF: After James Brown disgracefully fired his band, he got the young men from Cincinnati. The J.B. band—the original—invented the music, [but the Collins-era lineup] was one of the great ensembles, even though it wasn’t better than the earlier band. There’s a record of James Brown playing with that band live at the Olympia [Paris] in ’71; you can watch the clips of them playing. There’s nothing better than that. (Well, there is—you can’t compare them to the earlier band.) It’s Americanism at its finest. It’s much more powerful than a John Ford or an Orson Welles movie (no disrespect to John Ford and Orson Welles). It’s more powerful than any Warhol painting. I don’t know what kind of cultural artifact would represent the U.S. since the Depression, but that might be it. The fact that they were siblings, that’s an important part of the story. AVC: Do you think that’s an important part of The Fiery Furnaces’ story? MF: That’s been part of the story of the band for better or worse; I don’t know what to say about that. It’s definitely been presented that we are brother and sister, so to a lot of people who think about the story of the band when they’re listening to records, that would be important. That’s what they know about the band. That’s not me talking—that’s how a lot of people engage with rock music. MF: They were very much a “brothers band.” They were a punk band, but they were undomesticated by punk orthodoxies. They would play all these different things; they were a little bit freaky in a different way that wasn’t attached to the continuity of other music. The fact that they were brothers made it more insular, more supposedly authentic, unaffected by other things. If you’re brother and brother, you don’t even engage the outside world, like a noble savage. You haven’t gone to have auditions in New York City to meet your drummer or songwriting partner—you grew up together, and so your music comes from that tiny little world that you sprung from. Literally. AVC: Was that disconnect magnified because they came from Phoenix when very few other bands were coming from the Southwest at the time? MF: Definitely, that they were Western. Me, I didn’t give any thought that they were from Arizona or Bakersfield or Eastern Oregon—they were from someplace I didn’t want to go to live. It wasn’t like I was, like, “Man, I got to get out of here and get to a strip mall in Phoenix,” but as a rock fan, you were interested in where they were from. The more weird or obscure or unglamorous it was, the more glamorous it was. Now with the indie culture, if it’s called that anymore, it’s very much a capital culture. People go to the capital to meet other people and form a band, wherever it is; they go to Portland or New York City. They’re not from a suburb of Dallas, or a suburb of Cincinnati. And you definitely don’t do it with your brother, and you don’t live next to your mom’s house in Memphis. Or if you do, you kill yourself, because that’s depressing. MF: I was very impressed with a movie I saw on an airplane called [The] Fighter. I don’t know if I was impressed by the movie, but what I was impressed with was when the character who is a crack addict is trying to comfort his mom, he sings a Bee Gees song to her. I thought that was touching, both because I like the song and because that guy might have done that. Those songs have gotten into people’s imaginations in weird ways. MF: The Ramones are my No. 1 favorite brothers band because it’s phony, but it’s not. AVC: That’s really symbolic of the camaraderie shared among band members, isn’t it? MF: That’s how a lot of people like to see it. I think Pete Townshend said it best (they didn’t have national service): “We didn’t go off into the army. We went off to play rock ’n’ roll together.” That was their band of brothers. I think Ringo described The Beatles in the same way—like being in the army together. A lot of people experience rock ’n’ roll as a type of brother-making.